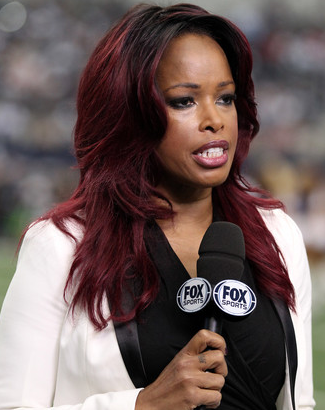 Initially Fox wanted to remove her from sideline reporting altogether. Fox Sports executives went to Atlanta, where Oliver lives, to tell her that they were planning to move her off of the sidelines altogether to give her a new role within Fox Sports. Oliver was able to negotiate with Fox to give her a 20th year on the sidelines, albeit on a lower crew. Deitsch reported that Oliver signed a new, multi-year contract with Fox Sports last week that will entail her doing some "long-form pieces, specials, major interviews and some producing." Fox Sports president Eric Shanks said that he couldn't think of a "more respected person in the entire industry" than her and a key move towards building their journalistic chops. But Deitsch also moves the key point: if Fox is singing the praises of Oliver's journalistic abilities, why would it remove her from a high profile journalistic role. This follows after Oliver's usual Fox NFL Sunday pregame show interview feature was given to Andrews two years ago with Oliver only making sporadic appearances since then. Fox is making a clear downgrade with this move and I don't mean this as a slam on Andrews, who has been widely speculated to get this position when she joined Fox in 2012. Fox has tried to fit Andrews into a number of roles, including an underwhelming stint at the host of Fox's college football coverage, but she is is a household name who is at her best on the sidelines in the role that was her first claim to fame at ESPN. However, she is not the journalist Oliver is. The sideline reporting role has been derided by many over the years, myself included, but it can be a valuable one if the role is filled by somebody with strong journalistic chops, which Oliver has. She is one of the best interviewers in the business and has been an important piece of the Fox broadcasts, which comes with a sizable audience. For all the reasons that Andrews is being promoted over Oliver, journalistic abilities is certainly not to be one of them as Oliver brings much more to the viewing audience than Andrews does in that front. "But I live in the real world and I know that television tends to get younger and where women are concerned. Just turn on your TV. It's everywhere. And I'm not saying these younger girls don't deserve a chance. I know I've had my turn." As for me, I think that Oliver's age was a factor in that Fox wanted a fresh and more high-profile person in that role. And say what you want about Andrews, she is a mainstream personality that has more resonance in that regard in the pop culture sphere than is Oliver. No matter how strong of a sideline reporter Oliver is, that was probably never going to change. And therefore by giving Oliver a new role within Fox Sports that allows them to take advantage of her journalistic talents, Fox can try and claim that they are not demoting Oliver. However, why not give her said role while keeping her on the NFL sidelines? Fox's move may not be ultimately surprising in the grand scheme of things, but that certainly does not make it any less disappointment. But for better or worse, that is where television seems to be headed these days.